At Antier, we treat every assignment as a piece of art. We inject your dream into our DNA and craft personalized crypto exchange platforms. Our team of craftsmen toils relentlessly to fuel your business. Every line of code, every pixel in design, every layer in security stack, each nanosecond on a performance scale and every scenario in quality assurance is diligently taken care of during cryptocurrency exchange development to deliver a world-class product experience of the best white label cryptocurrency exchange software. The higher the TPS, the better the trading experience. Our white label exchange software boasts of incredible performance, processing up to 8000 transactions per second. Our trade engine matches the buy and sell orders at lightning speed with minimum latency. It has built-in order types for market order, limit order and stop order, which are essential for a cryptocurrency trading system. Our exchange software includes multi-currency crypto wallets (multi-signature and encrypted hot wallet) that allow secure storage and smooth transactions for a spectrum of cryptocurrencies. Industry-approved security is achieved by leveraging multi- signature cold storage. This keeps crypto funds in a tightly secured environment protected from external access. We leverage advanced security solutions like SSL implementation, two factor authentication like E-mail authentication and Google authentication for additional login security, encrypted user access, and automatic limits for fund withdrawal. Our in-house team of security specialists performs extensive vulnerability assessment to ensure top-notch security. In a scenario when a buyer is unable to get the appropriate seller, our low-latency trading engine optimized for market making comes into play. It eliminates delays in order processing and enhances the overall trading experience. 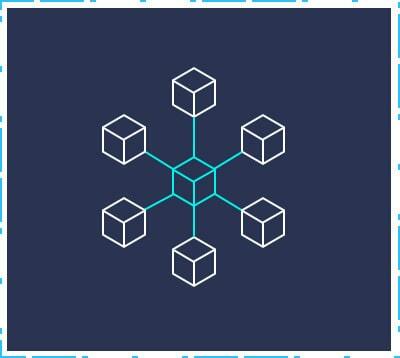 The most prevalent way to draw liquidity is achieved by creating an API connection with an external provider (like Kraken, Bitstamp, Bitmarket, itBit). A local order book fetches data from external exchanges. 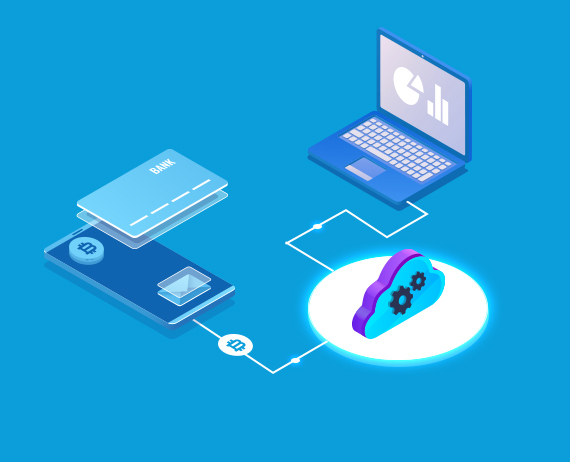 The exchange operator connects with the external exchange by creating a business account and liquidity is based upon the amount deposited in the external account. Geography-based KYC/AML comes into effect for user identity verification when it comes to withdrawing a large amount of cryptocurrencies from the exchange’s hot wallet. KYC compliant users are able to withdraw relatively large amount of assets. Traders with a limited amount of crypto resources, i.e., Bitcoin and Altcoins have the option of margin trading to add leverage to the investment or position. Our crypto exchange platform provides dashboard where you can select the instrument you wish to trade, choose leverage, place and cancel orders, view important information in the contract details and see your position information. The entire exchange suite comes with a spectacular and secure Admin Panel to control the entire platform end-to-end. It has smooth and sleek controls for managing the critical elements like user approval, Escrow, deposit, withdraw, fees setting etc. We provide multi-language support to increase the global reach of your cryptocurrency exchange. The system’s UI provides the best UX for left to right and right to left languages like Arabic. Support major fiat currencies like USD, Euro etc. Displays the transaction ID, details of sender or receiver like email ID, description and timestamp etc. Our cryptocurrency and Bitcoin exchange development company offers the following services to help in cryptocurrency adoption. Binance, one of the top three exchanges worldwide, has witnessed an incredible growth since its launch in 2017; it made a profit of $446 million in 2018. At Antier, we build an exchange like Binance to allow you to benefit from the most acclaimed features of the exchange, like user-friendly UI, high TPS, faster trading, more liquidity, support for major crypto markets like BTC, ETH, LTC, and more, and multi-language support. Become a front-man to provide your potential users with a centralized crypto exchange that delivers a secure trading platform combined with a powerful trading engine for faster order matching and transaction processing. Our cryptocurrency exchange development services emphasize on diligently integrating world-class features in terms of security, UI/UX, functionality and scalability, on to a single platform to provide you an edge over your competitors. Privacy and security are the major benefits of a decentralized cryptocurrency exchange that is built on the principle of directly matching the traders without the participation of a third party. 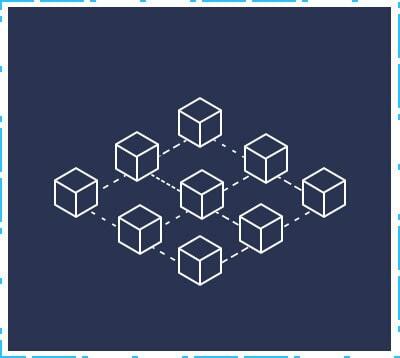 Our in-depth knowledge of distributed ledger technology combined with our domain experience enables us to develop a highly-secure, scalable and fast decentralized trading platform driven by Ethereum smart contract. We listen to your idea, understand your needs, and create a well-strategized plan for cryptocurrency exchange platform development to roll out a world-class product that helps your users to trade smart, simple and safe. 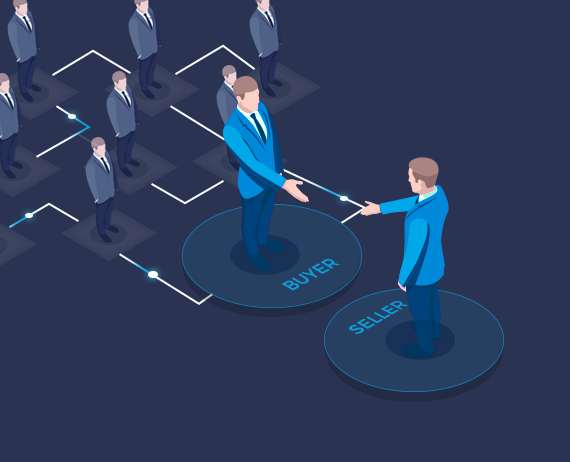 P2P exchange provides unsurpassed flexibility in a decentralized trading environment where people connect directly with people, having an Escrow system owned by the Admin. Our P2P cryptocurrency exchange provides secure, interactive and flexible trading environment, and intuitive interface for end users. The transactions are processed after the seller confirms of receiving the money equivalent to the value of crypto assets to be sold. 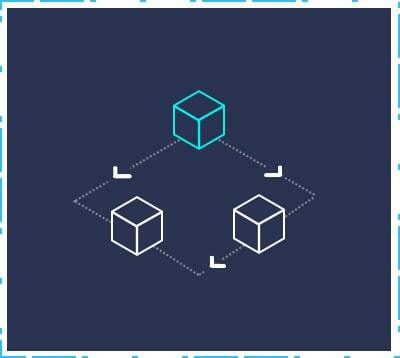 The Escrow system then releases the crypto assets to the buyer, ensuring secure trading experience. Every module is developed using different encryption methods to ensure confidentiality and protection for users. Two-factor authentication, KYC and AML are obligatory for every user profile. 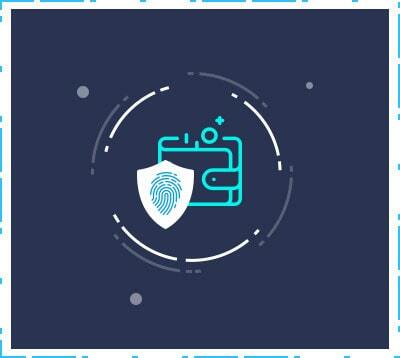 Our biometric-enabled cryptocurrency wallet acts as a safe place to store cryptocurrencies. The wallet can be linked to any exchange for secure transfer of crypto assets from hot wallet to cold wallet. The dual-sign mechanism authorizes the Admin and the co-signer to approve any withdrawal request, without which the assets cannot be moved to the cold wallet. A private key generated and secured using mnemonics works in tandem with other security features like 2FA and biometric authentication to enhance the overall security. Allow your users to trade cryptocurrencies on the go with your crypto exchange mobile app (iOS and Android), and expand your customer base. 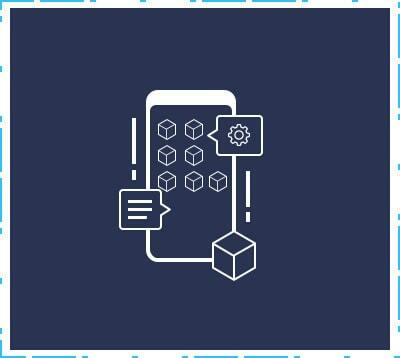 Our cryptocurrency exchange mobile apps are intuitively designed for novice and experts alike. Fundraising is in upbeat mode with the introduction of security token offerings. Tokenize your assets to raise funds quickly and securely. 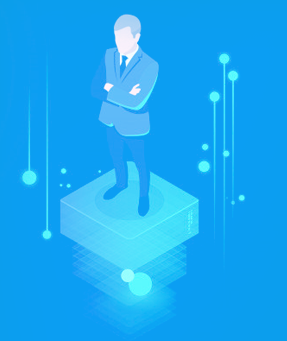 Our domain expertise combined with our technical prowess in STO empowers us to create a variety of tokens, such as equity token, debt token and reserve assets token. 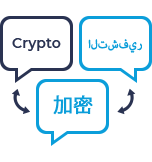 We take utmost care of smart contracts and legal compliances (traditional SEC laws) based on different demographics. 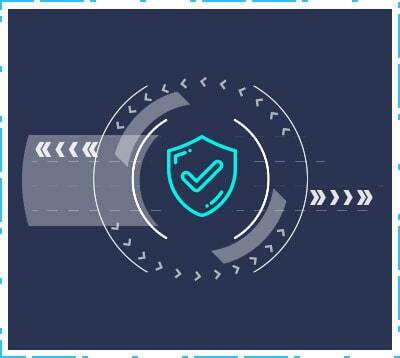 Our security token development process is based on market leading token issuance platforms like Stellar, Neo and Hyperledger. With our whole gamut of STO services, including STO consulting, STO development and STO marketing, we incubate your idea of STO offerings to bring it to life. Tokenize your assets and trade them on your own exchange along with other exchange platforms. 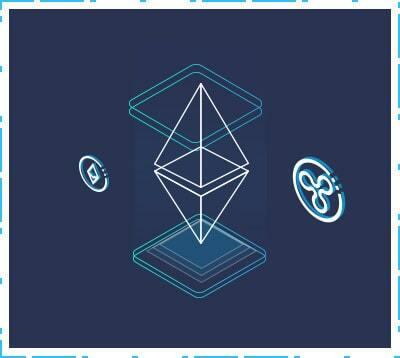 We use the most popular and preferred blockchain, Ethereum to create tokens and can leverage other blockchain like Stellar, Neo and EOS as per your requirements. Our developers create a variety of tokens like utility tokens, currency tokens and asset tokens to maximize your business opportunities. Please fill in the details below to share your business needs and avail our services. give #1 priority for your privacy.